Electoral bonds are neither 'transparent' nor 'anonymous'. In the latest revelation, file notings of the Election Commission of India (ECI) have showed that it had decided against uploading a letter – which talked about its reservations regarding the Finance Act, 2017 and introduction of the electoral bonds – on their website. The notings have been disclosed through a response to an application under the Right to Information Act (RTI) filed by retired Commodore Lokesh K. Batra. The Act brought in several amendments to existing legislation, including some Acts that would enable the introduction of the electoral bond scheme. 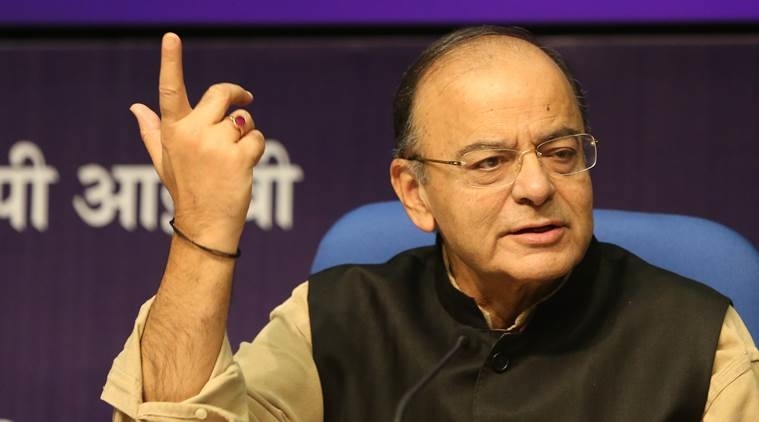 The Finance Minister Arun Jaitley had harped on the scheme's transparency as there would be a complete record of donations to political parties through electoral bonds. Jaitley had also assured the willing donors that their privacy will be protected since their ‘Know Your Customer’ (KYC) details would only be known to the State Bank of India (SBI) – the sole bank authorised to issue electoral bonds. However, the contents of the file notings as well as the letter written to the Law Ministry show that the ECI had an opinion contrary to these claims, the year before the scheme was launched. As revealed in the response to Batra’s application, the first note on the file was dated April 17, 2017, and conceded that the amendments brought about by the Finance Act, 2017 would have “an impact in the area of political finance/funding of political parties”. It was further suggested on the same day that a table should be made containing the existing law in one column and the amendments in the second column. On May 1, 2017, the note shows that a draft letter had been put up for approval by the ECI. Three days later, it was decided that the letter will be discussed in a meeting to be held 'tomorrow' i.e. on May 5. However, the next note, dated May 24, 2017, shows that the meeting in fact took place on May 23 and that a draft letter addressed to the Secretary, Legislative Department, Ministry of Law and Justice was put up for approval by the ECI. On June 6, 2017, the note stated that a letter dated May 26, 2017 was ready to be uploaded both in Hindi and English, and it only required the signature of “DG(DS)” which probably refers to Director General of the Election Expenditure division, Dilip Sharma. However, a subsequent note on the same day – the author of which could not be determined – stated that “[t]his is a letter and not a guideline/instruction. Therefore, the same need not be uploaded.” The second “not” was double underlined. If one were to take this last note at its face value, then there is nothing wrong with the ECI’s decision not to publish the letter. However, considering that the scheme was passed by amending existing legislation through a money bill, the public at large would be hard-pressed to decipher the significance of the Finance Act, 2017. The electoral bond scheme was created through an amendment to the Reserve Bank of India Act. Additional amendments to the Representation of the People Act (RPA) were also required to give effect to the scheme. However, the host of amendments to the RPA, Income Tax Act, and the Companies Act have nullified any benefit the scheme was supposed to offer. A subsequent application under the RTI Act has also revealed that several parties in Parliament had opposed the scheme. The Congress had written a letter to the Finance Ministry on May 30, 2017, stating that the scheme would not ensure transparency. The Communist Party of India (CPI) too opposed the scheme and demanded a rollback. On January 19, 2018 – seven days after the scheme had come into effect through a Gazette Notification – the Communist Party of India (Marxist) [CPI(M)] filed a petition in the Supreme Court challenging the scheme's constitutionality. However, answering a starred question in the Lok Sabha on February 2, 2018, Jaitley stated that the government had not received any concerns regarding the scheme. The ECI's letter dated May 26, 2017 – a year before the Finance Minister denied that the government received any concerns regarding the scheme – focussed on the amendments to the RPA, the Income Tax Act, and the Companies Act. The amendment to the RPA concerned section 29C that lays down the law regarding political parties declaring donations received. This provision makes it mandatory for political parties to declare all contributions received amounting to more than Rs. 20,000. This by itself is a problematic provision as a 'person' may make any number of contributions of Rs. 20,000 in a month, none of which need to be declared. The amendment, rather than rectifying this issue, inserted a proviso which states “[p]rovided that nothing in this sub-section shall apply to the contributions received by way of an electoral bond”. The ECI viewed this proviso as “a retrograde step as far as transparency of donations is concerned and this proviso needs to be withdrawn.” The ECI also stated that since the donations through electoral bonds are exempt, it would be impossible for it to determine whether a party has received any donations in violation of section 29B of the RPA. This section bars political parties from receiving donations from government companies and foreign sources. The next comment concerned section 13A of the Income Tax Act, 1961. This section concerns income of the political parties. The amendment to this section bars political parties from accepting cash donations higher than Rs. 2,000, which is not a bad amendment. However, the ECI pointed out that the limit on 'anonymous' donations is still Rs. 20,000, since political parties need not declare them. The ECI letter recommended that the RPA be amended, bringing the limit on anonymous donations to Rs. 2,000 so that the two Acts could be in consonance. The ECI finally commented on the amendments to the Companies Act, 2013. The amendment altered section 182 of the Act, which deals with prohibitions and restrictions regarding political contributions. Subsection 1 of the Act places a bar on government companies as well as companies that have not been in existence for three financial years from making political contributions. The proviso states that other companies can donate a sum that does not exceed 7.5 per cent of their average net profits of the three preceding financial years. The amendment has deleted this proviso. The ECI, without overtly stating it, has raised the concern that shell companies may then be set up for no purpose other than funding political parties. Subsection 3 of section 182 makes it mandatory for companies to declare their donations to political parties including account numbers and name/s of the political parties. The amendment to this subsection does away with details and makes it mandatory for companies to declare only the total amount donated without requiring names of parties to be disclosed. Despite assurances from the government that the entire scheme seeks to anonymise donors, the Quint's exposé – concerning hidden alphanumeric characters printed in the top right corner of the bonds – challenges the anonymity of the scheme. Though companies, owing to the present amendments, are required only to state their total political donations, the information regarding who is donating and to whom still vests with the government. How this information can be used is anybody's guess.